Once in a while, I like to pause to relax, and reflect. Often, I find myself constantly thinking: thinking about what I will do in the future, thinking about what I’ve done in the past. I worry and fret about one thing or another, and if I can’t find something to worry or fret about, I worry about that. To say that I have a tendency towards being an anxious person is, perhaps, an understatement. One of my goals this year is to be more present; simply, to live in the moment more, and to enjoy it for what it is. Although it may be cheesy (and who doesn’t love a little cheese every once in a while? ), this has helped. A lot. I have had more enjoyable weekends, I have felt at greater ease, and had a greater sense of balance. These are just some things that caused me to pause and smile. And for that, I am grateful. 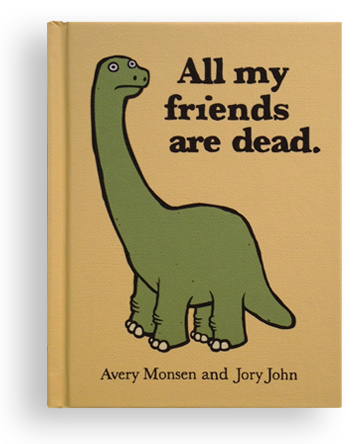 All my friends are dead. – A darkly hilarious book that you can now read online. 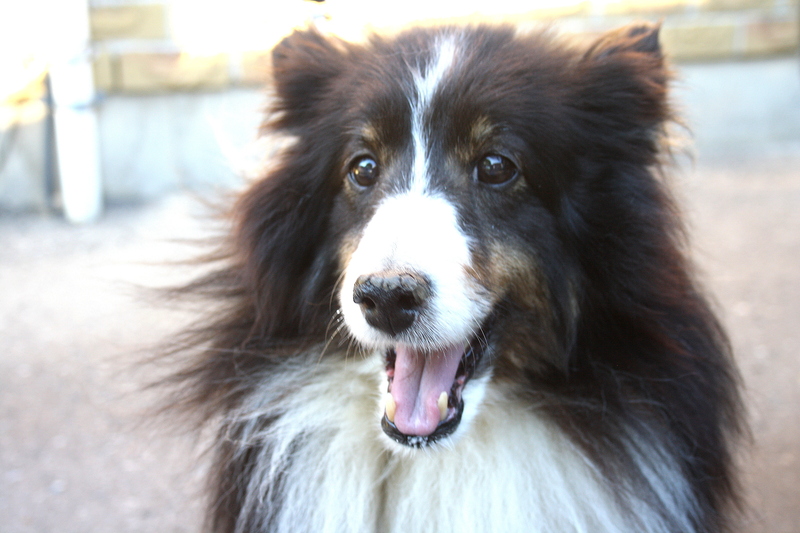 Mia, my 11-year-old sheltie. Her loveliness always makes my heart swell. 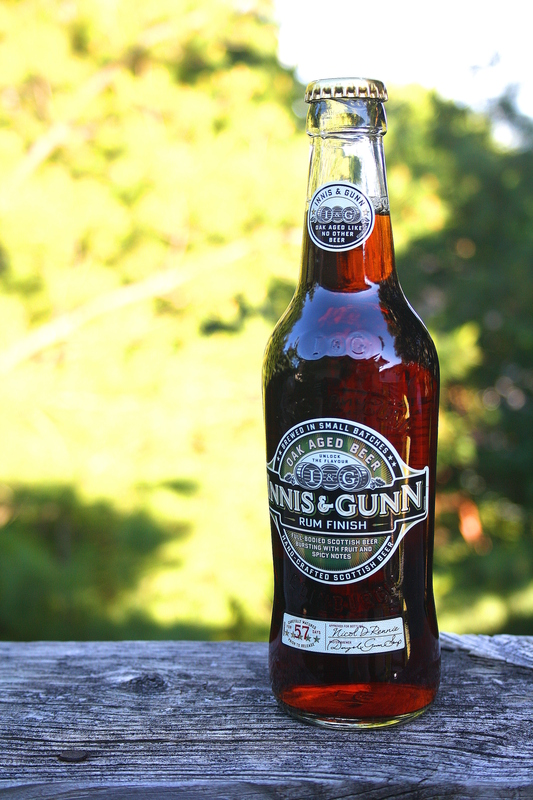 Innis and Gunn, one of my favourite brews – always nice on the deck after a long day at work. 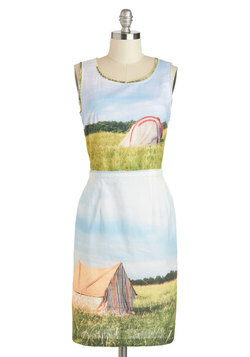 This quirky dress reminds me of my days spent camping…and makes me want to go again, soon! You can find the dress here. 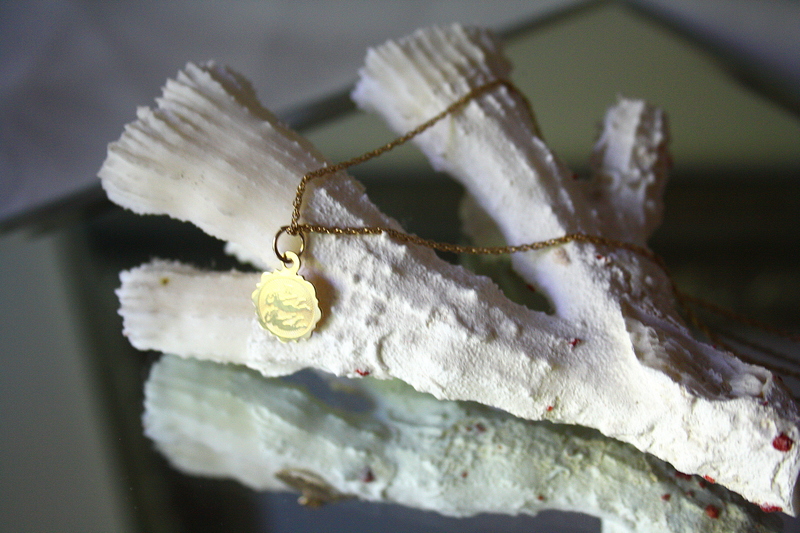 A gold gemini charm given to me the day I was born, rediscovered and worn regularly. Perfectly accented by a piece of coral from my great grandmother’s amazing seashell collection.